"It's 40 years since the end of the American war," says Vu Vo, "but in Saigon people have a way of looking forwards, never backwards." 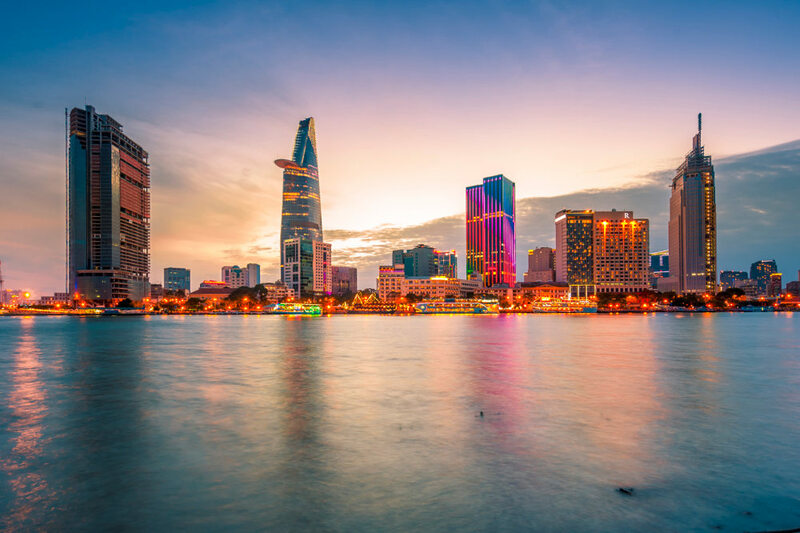 There are two things you should remember when you arrive in Vietnam's southern metropolis. One is that Vietnam has had so many wars (Chinese, Japanese, French, American, Cambodian, Chinese again ...) that for them there is no such thing as 'The Vietnam War': the one that ended in the Fall of Saigon on April 30, 1975, was the American War. The other thing to remember is that most people in Saigon don't call their hometown by its official name, Ho Chi Minh City. "Despite all our troubles, we've always been a city of romantics," Vu continues. "We prefer the more charismatic sound of Saigon." If you want to understand Saigon – new and old – food is as good a place to start as any. I've been walking with Vu on his Saigon Street Eats Tour (+84 9 0844 9408; saigonstreeteats.com) all morning. My stomach is thoroughly sated, while my head is spinning trying to digest a poignant inside view of the old Saigon – and to reconcile it with the vibrant city visible today. Luxury hotels, boutique homestays and great restaurants are opening up all over the city centre. The notorious Refinery is now a chic nightlife zone, more reminiscent of a refurbished London mews than the opium-dive of the French occupation. The colonial Opera House sees standing ovations almost every night for performances of the extraordinary AO Show (+84 12 4518 1188; aoshowsaigon.com), a contemporary Vietnamese dance production. And everywhere you go you meet smiling local people who still see visitors as guests and are happy to give you their own insights into Saigon's past and present. "We're a city of entrepreneurs," Vu says. "Like many in my generation, I was born in what they called a 'new economic zone' in the jungle. When my family was allowed to leave, we had to rebuild our lives from nothing. All the original ideas you see around you are part of that desperate need to create something new. It's been a tough 40 years for my country but I think the next 40 will be the most exciting we've ever seen." Hotel Continental Saigon (+84 8 3829 9201; continentalsaigon.com) continues to attract visitors who are keen to pay homage to the country's first hotel (which opened circa 1880). One of the institutions of wartime Vietnam, countless 'frontline' news reports were penned on the open-air terrace – known by journalists as 'the Continental shelf'. Double rooms from about $A115, room only. For a new alternative, Liberty Central City Point (+84 8 3822 5678; libertyhotels.com.vn) ranks among the best of its class in South-East Asia. The hotel is well located, with wonderful views (check out the rooftop pool on the 18th floor) and the highly professional staff and services that the government-run Continental unfortunately lacks. Doubles from about $A180, B&B. 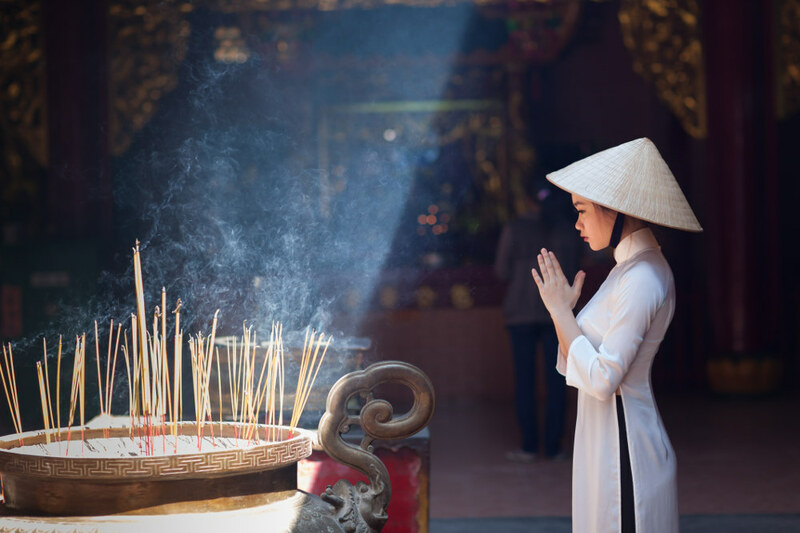 Far more than just an insight into Vietnamese art, Sophie's Art Tour (+84 121 830 3742; sophiesarttour.com), run by English art promoter Sophie Hughes, will help you piece together the jigsaw of Vietnam's past, and understand where it is going in the future. Half-day tours from about $A80 a person. 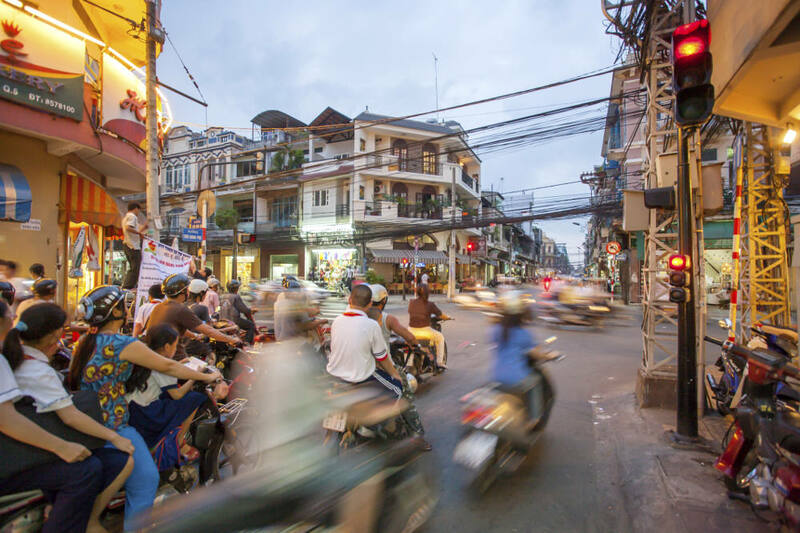 Motorbike taxis are known in Saigon as Honda Om – literally 'Honda Hugs'. Vietnam Vespa Adventures (+84 122 299 3585; vietnamvespaadventures.com) runs excellent half-day tours where you ride pillion on classic 1960s Vespas. The half-day Real Saigon tour costs from $A97 a person. Hugging optional. Saigon is booming on all fronts and nowhere more so than in the world of gastronomy. Noir (+84 8 6263 2525; noirdininginthedark.com) is one of the most exciting new arrivals. There are just two delicious set menus (Asian and Western) and you dine in an entirely blacked out room, served by immensely helpful blind, English-speaking waiters. 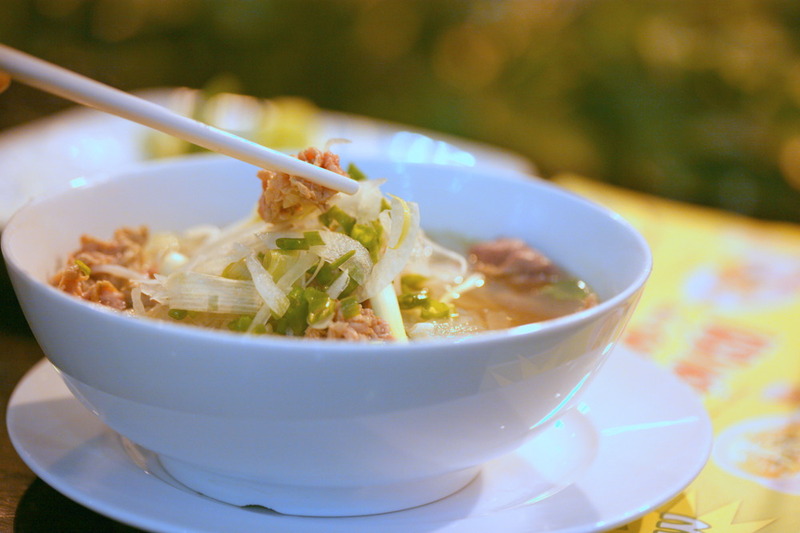 For excellent street food head to Pho Binh (+84 8 3848 3775), which serves pho (noodle soup). It was popular with American troops, who never suspected it was a headquarters for Viet Cong undercover operations. Go when it's quiet and the late owner's nephew will take you upstairs to where the Tet Offensive was planned. Most of the best cocktail bars are conveniently located around District 1, the central part of the city. OMG! (+84 9 3720 0222) serves excellent cocktails – try the crocodile tartare, too – with a bird's eye view that will help you understand Saigon's layout. A couple of skyscrapers to the east you can also see Caravelle Hotel with its own excellent rooftop bar, Saigon Saigon (+84 8 3823 4999; caravellehotel.com), a favourite with war correspondents and still serving the feisty 'Journalists Juice' as a signature cocktail. With its billowing, slightly flared trousers and slim-fitting, side-slit blouse, the ao dai might possibly be the most attractive national dress in the world. The female version is also surprisingly wearable at home as evening dress. At so-called Fabric Street in front of Tan Dinh Market (open daily but most lively in the morning) beautiful silk ao dai can be tailored in two to three days. Few of the 'antiques' in Le Kong Kieu Street would stand up to examination on The Antiques Roadshow, but among the bric-a-brac and same-same copies (more fake Zippo lighters than there ever were grunts in the 'Nam) you can find a few delightful heirlooms that give an intriguing insight into local family life over the past century. The newly curated War Remnants Museum (+84 8 3930 5587; warremnantsmuseum.com) powerfully counteracts the guts-and-glory bravado of Hollywood's more recent idea of Vietnam. It's a pity that, four decades on, this is still a place that's most famous for a war, but if you want to understand how the country evolved after unification, you must start with an insight into the horrors of the war years, and the (ongoing) aftermath of children mutilated by Agent Orange. Until recently known as the Museum of American War Crimes, the building now houses excellent exhibitions (some change regularly) that are very sensitively laid out and displayed without unnecessary bias. This article was written by Mark Eveleigh from The Independent and was legally licensed through the NewsCred publisher network. The Independent is a British national morning newspaper published in London by Independent Print Limited, owned by Alexander Lebedev since 2010. Nicknamed the Indy, it was launched in 1986 and is one of the youngest UK national daily newspapers.